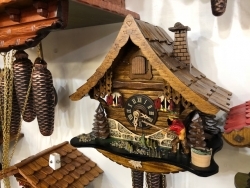 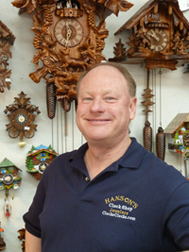 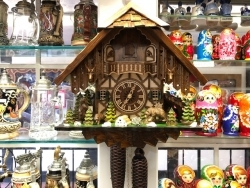 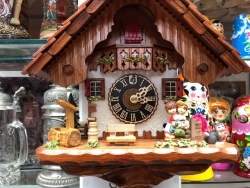 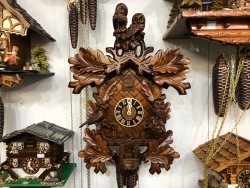 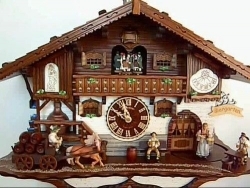 For over 40 years Hanson's Clock Shop has been selling Cuckoo Clocks made in the Black Forest of Germany. 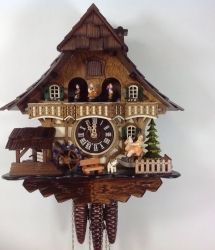 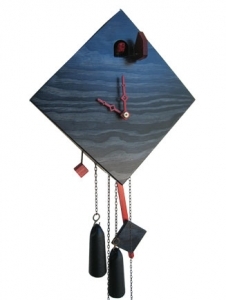 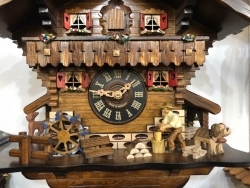 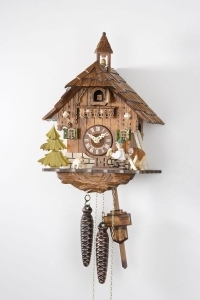 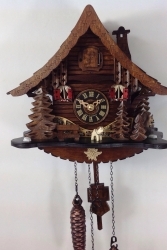 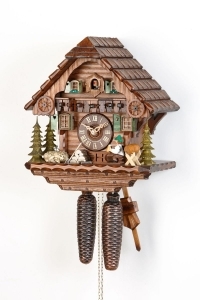 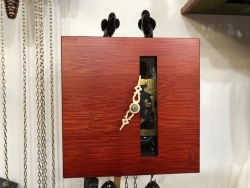 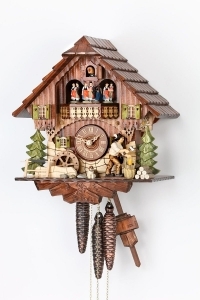 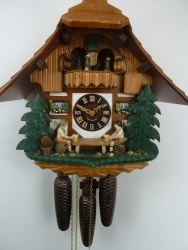 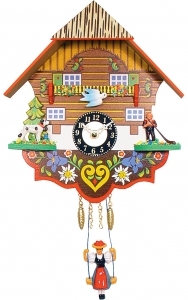 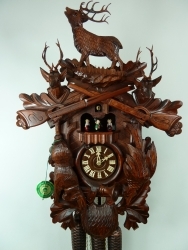 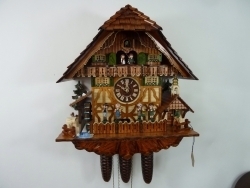 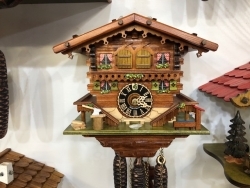 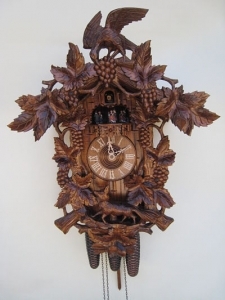 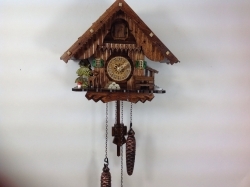 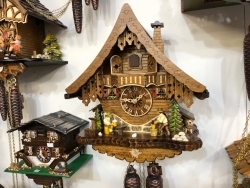 We stock Cuckoo Clocks made by Anton Schneider, August Schwer, Rombach & Haas, Hekas, Herr, River City and Engstler. 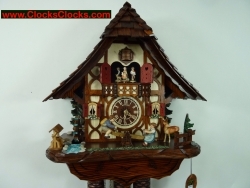 We individually inspect and test each clock thus we are able to provide you with a free extended warranty of 4 years. 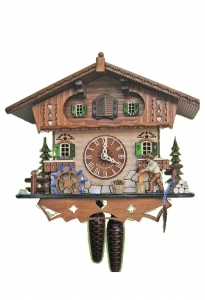 Unlike many on the internet we provide you with after sale service when your cuckoo clock needs cleaning and oiling. 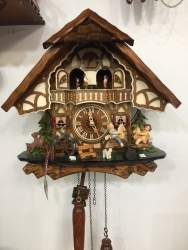 A truism I was told by Fritz the owner of Western Clock Imports over 30 years ago still holds true " A clock is never sold it can always come back" .